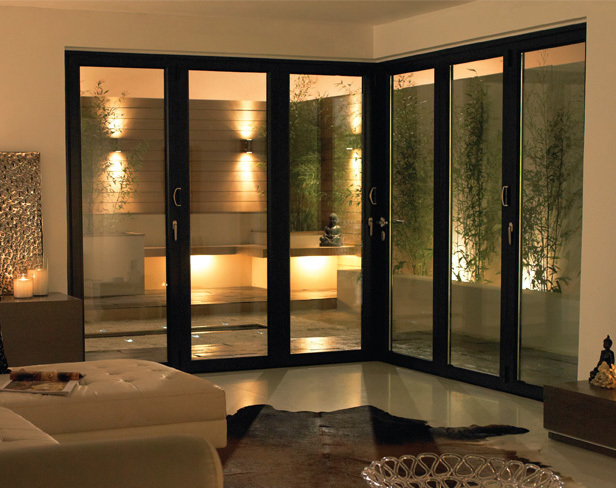 Stanbrook & Nicholson take great pride in teaming up with the best in the business to be exclusive suppliers and installers of the Origin Bifold Door. While flawless customer service and acute attention to detail are at the forefront of both our philosophies, our respective approaches to designing bifold doors also complement each other. An elegant design featuring an ultra-slim aluminium frame, precision engineering and high performance components ensure the Origin Bifolding Door will exceed all of your expectations. Put simply this is the ultimate bifold door experience. Due to an array of unique features, we believe our doors will be a perfect addition to your home. The Origin Bi fold Door delivers a more comfortable home, cheaper energy bills and a brighter environmental future. Sleep soundly at night knowing a multi-point locking system is protecting your home, while high levels of durability promise minimal maintenance. The Origin Bi fold Door has been specifically designed with child safety in mind. Trapped fingers are a thing of the past. Comprehensive standard warranties from both Origin and Stanbrook & Nicholson guarantee that the Origin Bi fold Door will stay defect-free for decades. The bespoke nature of Stanbrook & Nicholson’s product range emphasises our understanding that each one of our customers is unique. A wide array of colour options is available with the Origin Bi fold Door. Finishes include satin, matte, gloss and – our most recent addition – a highly realistic wood finish. With over 200 RAL colours on offer, including an abundance of shades, such extensive choice will help ensure that both fresh installations and replacements are a breeze. Origin also offers a wide array of innovative colour collections to spoil you for choice even more. This includes their vibrant Pop Art Collection, which makes use of bright, bold colours. Or perhaps you’d rather add a touch of old fashioned class with The Gentleman’s Club Collection. Rest assured, there are many more and the choice is yours. Though the concept behind a handle is simple, it doesn’t mean they can’t add to the aesthetic. We’re able to offer you a range of styles and colours, a fact that serves to underline the extreme attention to detail we apply to every single project. Both Origin and Stanbrook & Nicholson recognize that a large part of door security is dependent on the handle. That’s why so much time and effort has been invested into this aspect of the Origin Bi fold Door; stainless steel or colour co-ordinated, the handles we use are as rigorously tested as the rest of the product. Accessories abound for the Origin Bi fold Door. With Origin’s range of blind options assured to give your purchase an air of sophistication, their innovative features such as an automatic shutting functionality, will further contribute to what is an already impressive high-performance product. Since Origin’s blinds and other accessories are optional extras, this is yet another opportunity for you to stamp your own personal mark on your purchase, creating a truly bespoke product. Love what you see here? Just wait until you see the rest of our vast range. Give your home that centrepiece it’s been craving.